Find My Workspace lists over 95% of the executive office suites market in Jacksonville (Florida). Simply click Request Quote to check pricing for one office, or Add to Basket for multiple offices. This exquisitely furnished business center offers shared desks co-working space, dedicated desks, startup & executive offices, four person and sixteen person meeting rooms, eighteen person classroom space and a business lounge that seats more than forty people for presentation and corporate conferencing purposes. The business center itself is just over the bridge on Beach Boulevard, behind Starbucks and in the Big Lots shopping center; providing occupants with easy access to the area’s amenities and local services. 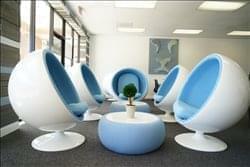 There is plenty of secure parking provision and top of the line offices and co-working furniture. Jacksonville (Florida), Florida - Market St. This fantastic, technologically advanced and exquisitely furnished corporate business center installation offers an extensive variety of modern and highly professional private office space, collaborative co-working areas, prestigious virtual offices packages and mailbox handling for all occupying tenants. The private office spaces can accommodate one person all the way up to six people in one collaborative space. With exposed brick walls and grand columns, this vibrant commercial space is sure to impress your clients and interviewees alike. There is an assistant manager on site Monday to Friday from 9am to 5pm. 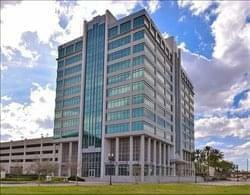 This fantastic office facility is located in an iconic and locally significant landmark office tower on the South Bank of the beautiful St. Johns River. The 28-story tower offers 420,000 square feet of Class A office space, completely renovated in 2010 with advanced systems, contemporary fixtures and sophisticated interior design. It also features 24-hour security, banking services, on-site childcare, café and ample parking for tenants and guests. The building is also home to the exclusive, up-scale University Club, which offers dining, meeting and banquet space and state-of-the-art health club facilities. This center offers the best in luxury and professionalism in the Jacksonville area. With 16 beautiful meeting rooms to fit any size meeting or conference; Seating from 2 guests to 40 guests,; the rooms are available by the hour or by the day. Use the meeting rooms for depositions, meditations, arbitration’s, corporate meetings, presentations, interviews, client pitches or training for your company. Catering, coffee service, projection equipment, and other services are available to ensure you have everything you need for your meeting. Private Office suites all-inclusive – Furnished with executive desk, 2-drawer file cabinet, executive chair and two guest chairs, telephone equipment, dedicated phone number, full time receptionist and more. To obtain information for your selected Jacksonville (Florida) Executive Office Suites, please tick the "Add to basket" box for each office you prefer and complete the form below. We will then send a detailed report via email.